Qr codes were my favorite ipad activity to start with. 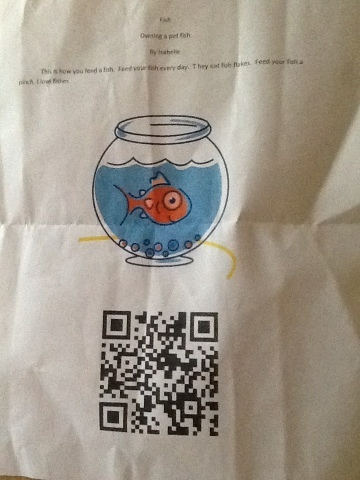 I have since used the app Audioboo to create audio clips and then turn those audio urls into QR codes. This is a great way to have a read aloud accommodation for students. They can scan the qr code and hear you reading the question to them! They can replay directions as many times as they need. You can also have students record their own voices reading a presentation. This could be displayed in class for Open House or sent home for families to be able to treasure their young ones reading aloud.